I am on the board of a local chapter of a national charity. Since our beginnings about a decade ago, we have included high school students as full board members. Law in our province permits this, and having young people around the decision-making table greatly expands our discussions by adding unique viewpoints. Among the many excellent youth was Helen. As a new board member, Helen took to heart the many lessons learned and became a gifted and committed volunteer who contributed to many local success stories. 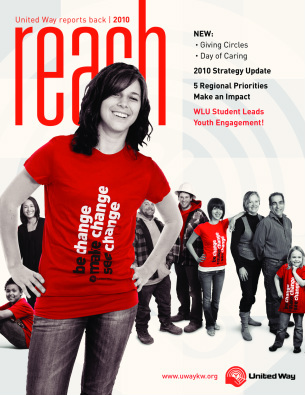 As a number of youth board members often do, following high school she went to university in another city. Our charity was also represented in that city, so I let them know Helen was arriving and that she was worthy of support. Soon after arriving, with local assistance, Helen created a group at the university in support of our charity. Through this group, which is now about four years old, she has raised large scale money and created a legion of new volunteers who are aware of the needs of the local community and who will take their experiences with them across Canada and beyond. I don’t know how to measure the effect Helen’s volunteerism has had on the lives of those in need, but I am certain there are many who owe thanks to her.